Exit Piccadilly Circus Station onto Piccadilly Circus. The Theatre is on the right hand side and is visible from the tube exit. This is approximately a 1 minute walk. Age restrictions: Recommended for children aged 11 and over. 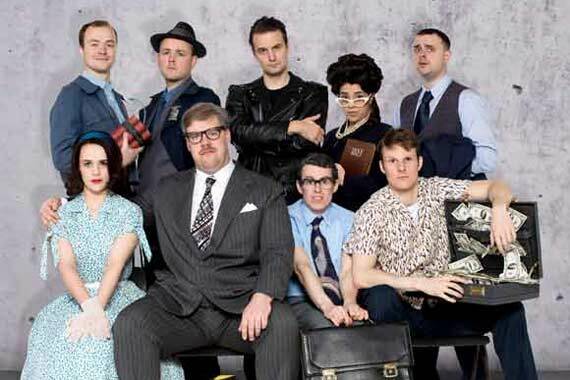 Written in the style of a 50's Hollywood Comedy, the founders of the Mischief Theatre group, Henry Lewis, Henry Shields and Jonathan Sayer, all portray standout roles in this imaginative sitcom. 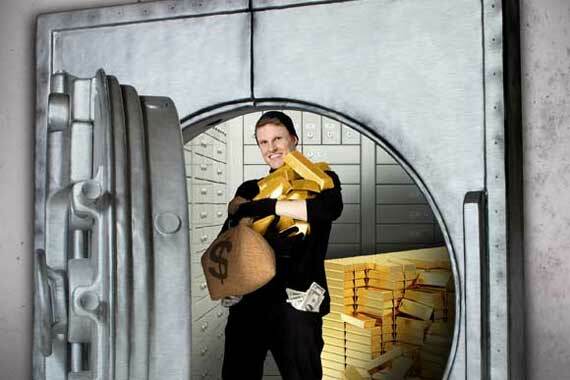 When Mitch Ruscitti (Shields) escapes from jail with the help from corrupt prison guard Cooper (Tannahill), both head towards Minneapolis to rob an enormous diamond from a sleepy suburban bank, which is ran by Robin Freeboys (Lewis) and his superannuated intern Warren Slax (Sayer). Freeboys' cunning daughter Caprice (Russell), joins the heist as Mitch's love interest, yet soon finds herself falling for the overbearing cashier's (Wallinger) pick-pocket son Sam (Hearn). Full of hysterical one-liners that come thick and fast throughout, the unrelenting tempo of this show will leave audiences in uproar. 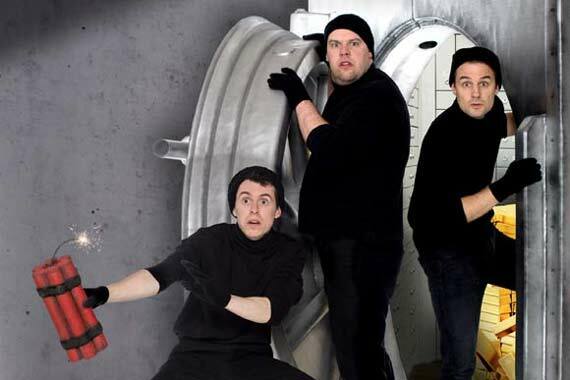 The Comedy About a Bank Robbery is the third show to come from the Mischief Theatre group. Following in the footsteps of its predecessors, 'The Play That Goes Wrong' and 'Peter Pan Goes Wrong', this hilariously outrageous comedy took its debut in London's Criterion Theatre this April. If the success of the groups previous shows are anything to go by, there is no doubt this show will continue way past its official end date of April 2017. Purchasing a theatre break has never before been easier than it is with Hotel Direct. With just one booking, that includes your hotel and your theatre tickets, we'll make sure everything is sorted for your trip and will even double check your reservation at the hotel 48 hours before your arrival. It's possible to save up to 75% with hotel direct, so book a theatre break today and laugh your socks off at this hysterical new comedy. With production and appearances by the Olivier Award-winning founders of the Mischief Theatre group, this show is prepared for great success. Both the company's previous shows received critical acclaim and The Play That Goes Wrong received a Laurence Olivier and a WhatsOnStage.com award for Best New Comedy. We'll just have to wait and see if they can take home the award once again! "Very funny show most enjoyable. Worth the money"
"Brilliantly written and performed play, amazing comic timing through out"
"I wasn`t sure what to expect as it was such a small production, but I was pleasantly surprised to see that it was a great show with plenty of funny parts in it to keep us all laughing." "This show had me in stitches. Brilliantly acted. I laughed from start to finish." "So funny! 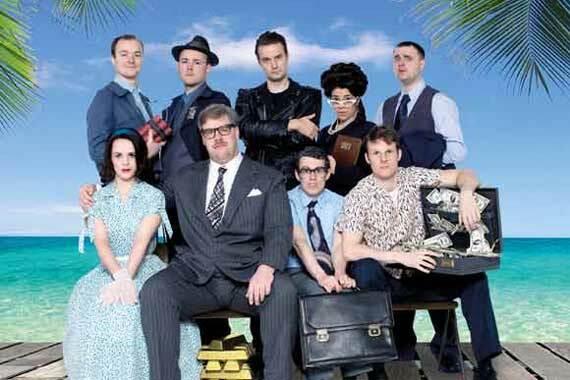 Cast were excellent, would go see the show again - and I`m sure it would be just as funny!" "We laughed from the start and were still talking about it on the train home the following day"
"Having seen the Play that went wrong, we had very high expectations and all I can say is they were met and we found the entire play absolutely hilarious! From start to finish it was just so funny and so well orchestrated, we were in stitches almost all the time, cannot recommend highly enough, just go and see for yourself!" "Funniest show was so good kept us laughing all the through ! Highly recommend going to see this." 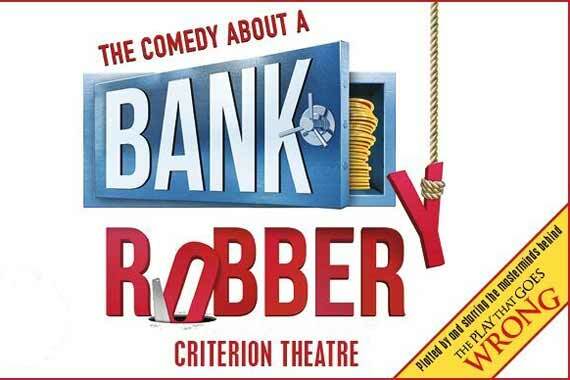 The Comedy About A Bank Robbery Rating:	93%	out of	100	based on	55	reviews.